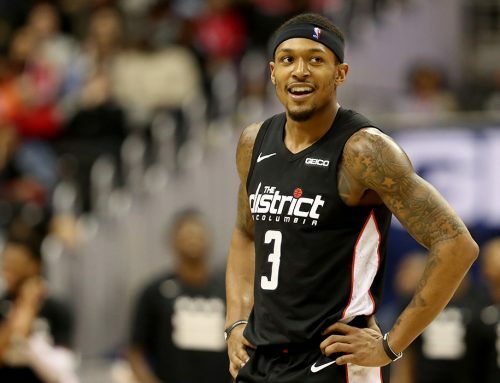 Bradley Beal and the Washington Wizards halted a two-game losing streak with a win in Atlanta over the weekend. The Wiz cruised to victory, defeating the Hawks 129-104 on Saturday. The Wizards raced out to an early 27-18 lead while playing short-handed without their All-Star point guard, John Wall. Washington’s other All-Star guard started fast, however, racking up nine of his 18 points in the first quarter. The Panda finished the game with 18 points after only playing 30 minutes and resting the entire fourth quarter. BB was productive during the time he was on the floor though, shooting 5-11 and knocking down two three-pointers and all six of his free throws. Brad also dished out five assists to his teammates, who were tremendous in Atlanta as well. 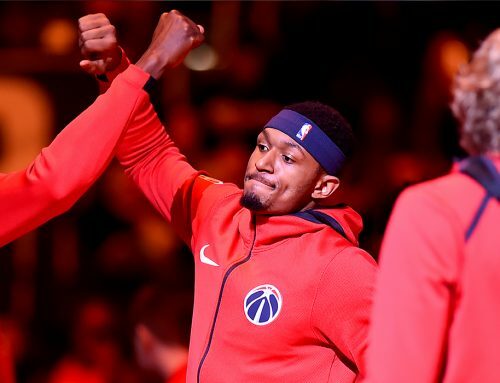 No Wizards player recorded a negative +/- rating against the Hawks and six Washington players scored in double figures on the night. Markieff Morris led the team in scoring with 23 points and he was joined in double digits by Beal, Tomas Satoransky, Otto Porter Jr., Mike Scott and Kelly Oubre Jr. The Wizards shared the ball all night long, compiling 40 assists for the game. No. 3 capped his night off on a high note with a smooth transition finish to beat the third quarter buzzer. The game was encouraging for the Wizards because they continued to build on their lead in each quarter. 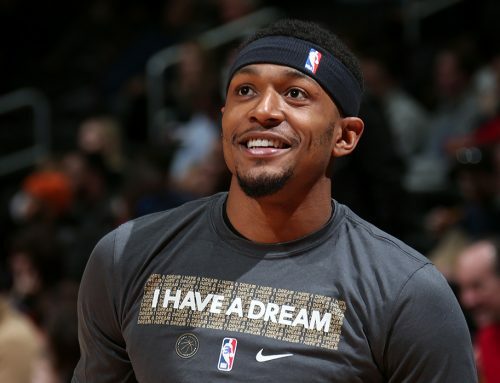 The Wizards led from wire-to-wire and were able to rest their starters late. Maintaining the lead all the way through the finish points to the fact that they played well defensively all night. The Wizards held Atlanta to 42.7 percent shooting from the field on the night and a mere 27.9 percent from downtown. D.C. gets to go home after this road trip to face the Oklahoma City Thunder on Tuesday night. Tip-off is at 7pm ET.